Last week, Charlotte found the blog books I made for years 2008, 2009, 2010. She sat down and shared them with Max. The sat there for a long time on the couch looking at all of the pictures together. Later, when they went to bed, I sat down and looked at them. They are amazing books. Books filled with the little things we did every day and the big things that only happened once. They are something that I treasure. After that night, I have been itching to sit down and starting logging our adventures - big and small - again. Since I last posted, we've made a few changes to our way of life around here. I quit my part time job to spend all of my time at home. My brain is rotting away, but the stress in our house is gone. I learned that I just can't handle the stress that comes with working and having kids at home. We also got a puppy back in August. A beautiful beagle pup that we named Hudson. (After Hudson Rd., the street our old house was on.) However, after keeping him for seven months, I had my fill of puppy hood. He was a pretty high maintenance pup and with two kids I just couldn't do it. 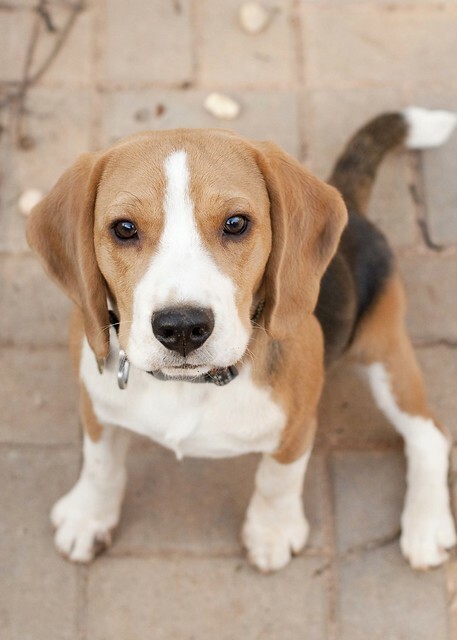 So, we made the decision to ask Atlanta Beagle Rescue to help us find him a home. Luckily, the said they would. He was placed in a new home this past Sunday. While it has been pretty sad, overall, our house is much more peaceful. I was really worried about the kids, but they have hardly mentioned him. Charlotte is doing great in Kindergarten. She is reading to us every night. She comes home happy every day. She asked to ride the bus home from school, so in September I signed her up to do that. Everyday, Max and I walk down to the bus stop and wait for her. She has 3 baby teeth missing from her mouth, with 3 big teeth growing in right behind them. Max is going to school 3 mornings a week. He doesn't cry anymore when it's time to go and walks in happily. His favorite days, though, are still the days that he stays home with me. He likes to wear his PJs until 10 AM and drive his toy vehicles around the rooms. I'm pretty happy to stay in my PJs until 10AM and relax with him. 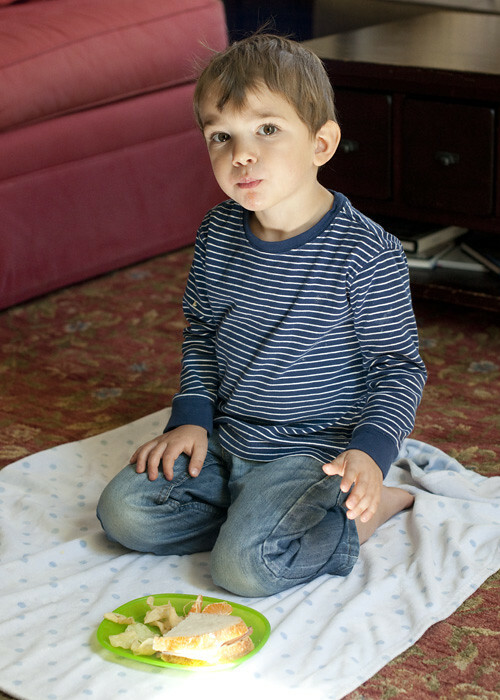 Every day when he gets home from school he always asks to have a picnic. He runs to his room and grabs his "comfy blankie" while I make his sandwich. Then, he watches a show while he eats. This little routine makes him SO happy.